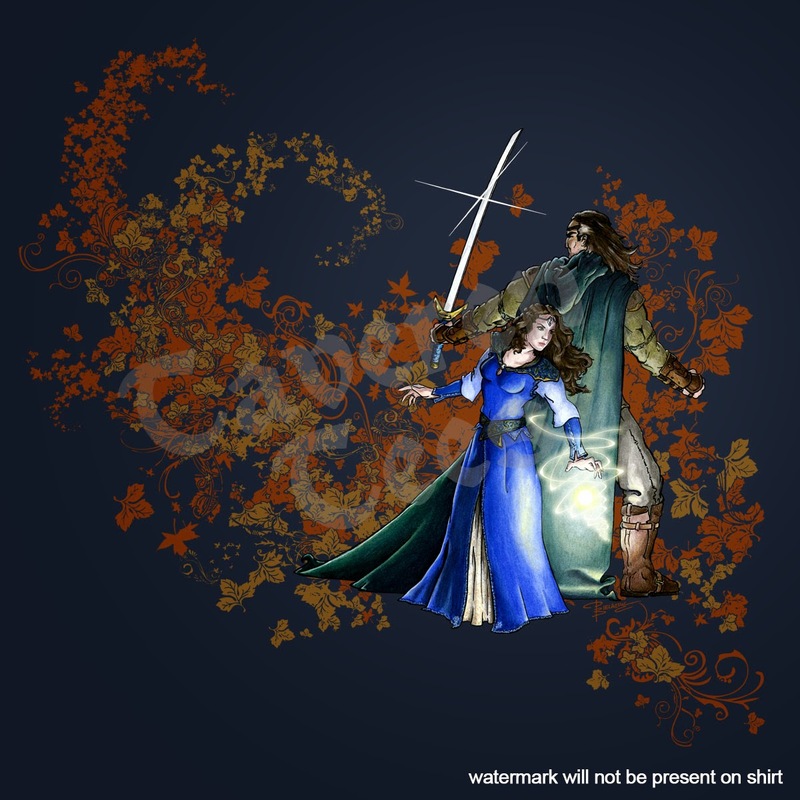 The Wheel weaves as it wills, and today it has willed a brand new shirt featuring everyone's favorite Blue Aes Sedai and her stone-faced Warder! The shirt is printed on 100% cotton. Ladies, please take special note of the sizing on these. While many of our women's shirts have been on fitted tees in the past, this particular design did not lend itself well to those styles. This shirt is still a ladies style tee shirt, but is not tightly fitted. Please size accordingly. This tee retails for $26 and will ship on April 4. 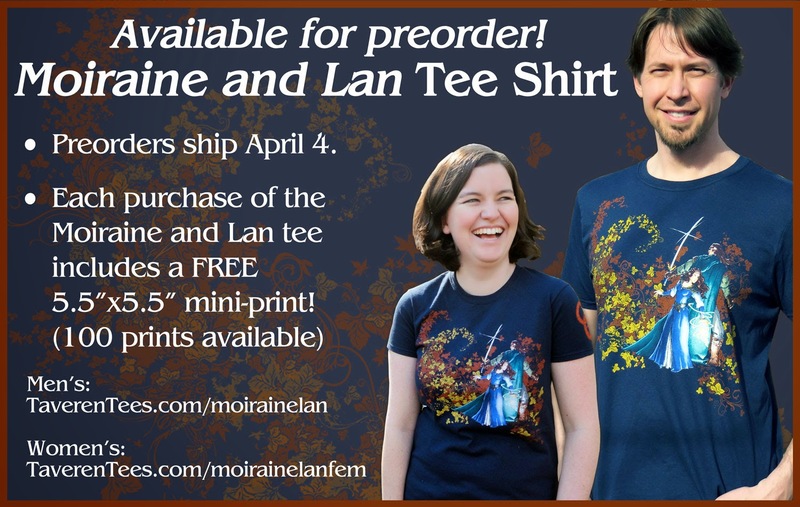 AND, for a limited time, when you purchase a "Moiraine and Lan" tee a FREE 5.5"x5.5" mini-print card of Moiraine and Lan will automatically be added to your cart and shipped with your order. Only 100 of these pieces are available. 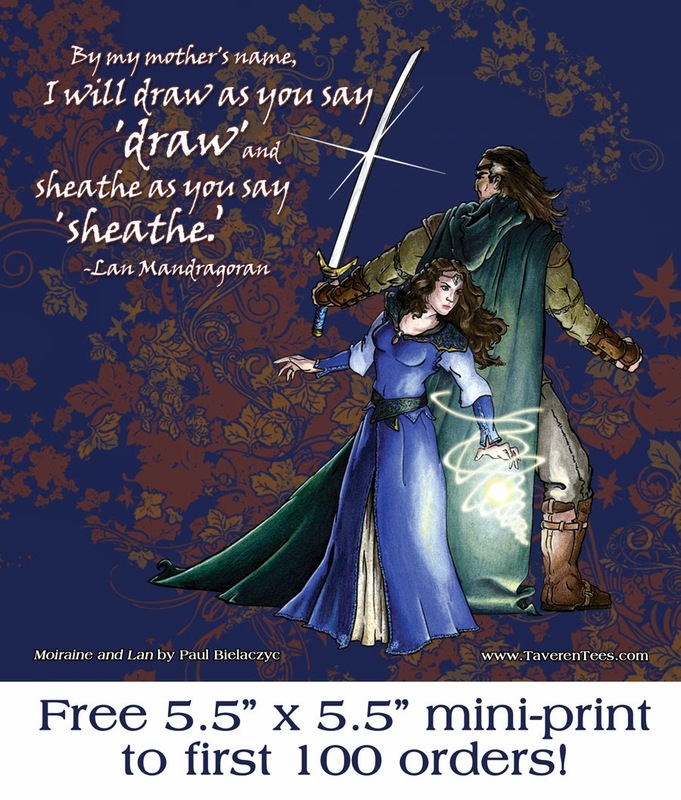 Make sure to visit www.TaverenTees.com to preorder yours today!